Mohamed Massaquoi, the last of the Cleveland Browns ill-fated second round selections from the 2009 NFL Draft, signed a free-agent contract with the Jacksonville Jaguars on Friday. The Jaguars reportedly gave Massaquoi a two-year deal worth up to $4.7 million. 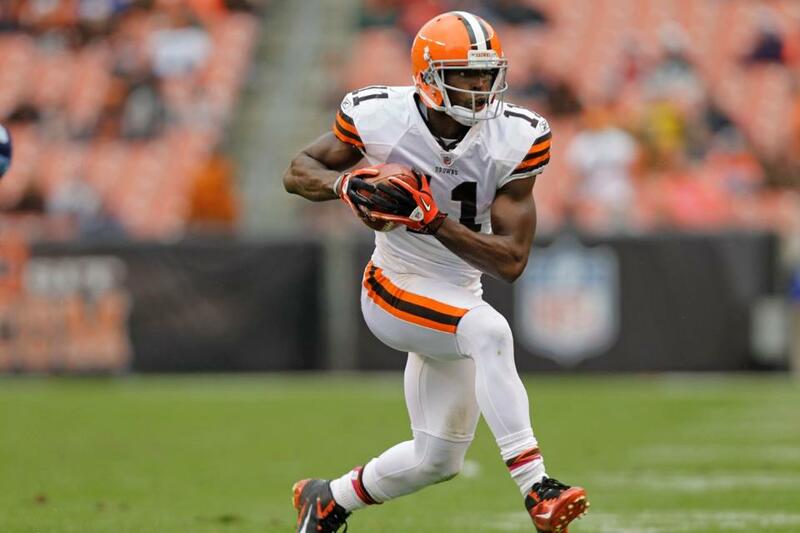 In four years with the Browns, Massaquoi had 118 receptions for 1,745 yards and seven touchdowns. He never had more than 36 receptions in a single year (his second), 624 receiving yards or three touchdowns (both in his rookie year). By comparison, Josh Gordon, a second-round supplemental pick, had 50 receptions for 805 yards and five touchdowns in his rookie season in 2012. Massaquoi also suffered from knee and hamstring injuries, as well as a concussion delivered by Pittsburgh’s James Harrison, but in the end he just wasn’t very good – especially for someone drafted in the second round. The move to Jacksonville means MoMass joins Brian Robiskie, David Veikune and Kaluka Maiava, among others, from the 2009 draft who are no longer with the Browns – and in some cases not even in the NFL anymore. While the Browns have made plenty of mistakes over the years, the ones they have repeatedly made on draft day – especially over a five-year stretch from 2005 through 2009 – go a long way toward explaining why they are in their current state. For every Joe Thomas, D’Qwell Jackson and Ahtyba Rubin that former general manager Phil Savage selected during his four years in Berea, there is a Charlie Frye, Leon Williams, Travis Wilson or Beau Bell. In 2009, despite holding four of the top 52 selections, the Browns managed to walk away with only first-round selection Alex Mack as a legitimate NFL player. As Browns fans everywhere remember, in the first (and thankfully only) draft run by former coach Eric Mangini (apparently general manager George Kokinis was out picking up pizza and wings on draft night), Mangini botched three second-round selections at an embarrassing level. In addition to MoMass, the Browns selected Robiskie (43 career receptions and currently with Detroit) and Veikune (three career NFL tackles and currently with the Saskatchewan Roughriders of the Canadian Football League). LeSean McCoy and Mike Wallace, who the Browns passed over three times each in the second round? Pfft, who needs them? While things got better under former general manager Tom Heckert (Joe Haden, Trent Richardson, Mitchell Schwartz), there were still enough misses (Colt McCoy, Montario Hardesty, Owen Marecic) to slow the team’s rebuilding efforts. As fans we are the one constant through all the years of losing and, consequently, many want to hold each new regime responsible for the sins of the former regime, which isn’t realistic or fair. But what we can expect is for CEO Joe Banner and general manager Mike Lombardi to learn from the mistakes made by the predecessors and realize how important it is to get it right on draft day – and how much damage is done when you don’t get it right. And if they need a refresher between now and the start of this year’s draft on April 25, all they have to do is cue up the highlights of past drafts to learn what not to do. you’re all looking at this the wrong way. it’s really mind boggling to look at this sequence of picks and say: “ok browns you you choose two from this group 12, four will be disappointments. go.” i mean, what are the odds? It goes a long way toward explaining why the Browns are where they are. No one is going to hit 100 percent on their drafts, but you have to be right much more than you are wrong – especially in the first 2-3 rounds – than the Browns have been over the years. That’s why it will never bother me if the Browns make the “safe” pick rather than trying to outsmart everyone. When you are more concerned with showing everyone how clever you are that’s how you end up with Chaun Thompson in the second round. The Browns will kick themselves again when they pass over Warmack because you don’t take future Hall of Fame guards that high in the draft. I can go either way on Warmack; if the Browns take him that’s fine but can’t get upset if they don’t as they have other holes that, right now, take priority over guard. I think that a guard is a very high priority. There is the misconception out there that the Browns have one of the best lines in football. I ask you, how many times did Richardson have a hole to run through last year? Answer…none. The Browns actually need 2 guards to have the best line in football. An All Pro guard would drastically improve all aspects of this offense. You could use the rest of the draft to draft D.
I think Richardson was misused last year in Shurmur’s offense and he’s going to be so much better under Norv Turner because Turner knows how to use running backs. But, yeah, adding a top-notch guard isn’t necessarily a bad thing.